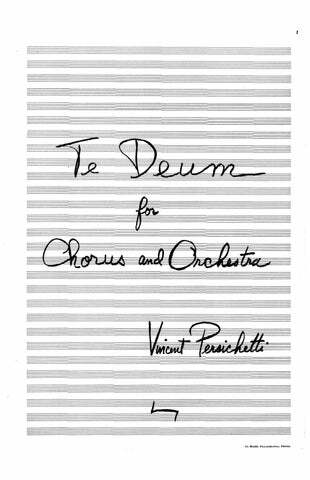 There have been few more universally admired twentieth-century American composers than Vincent Persichetti. His contributions have enriched the entire musical literature and his influence as performer and teacher is immeasurable. 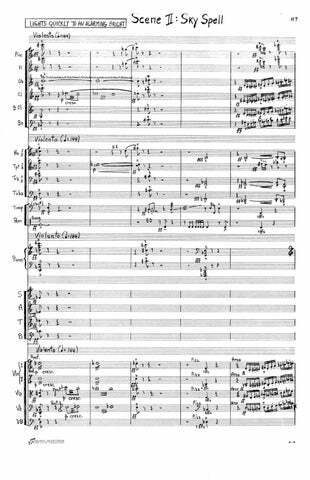 To a new, adventurous generation of composers ‘fortunately, large and musically eloquent’ he was a teacher par excellence and a highly lucid theorist. In both capacities his great artistry was ever clear and impressive, providing an example of dynamic leadership for those who encountered his genius. 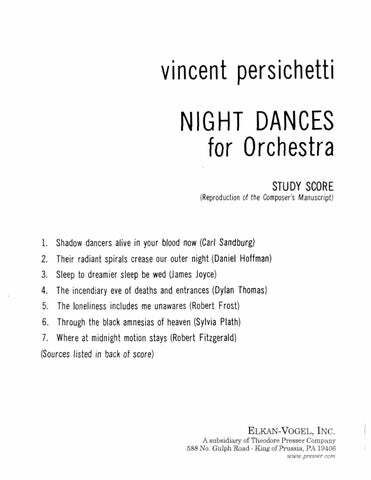 Mr. Persichetti has no embarrassment of melodic riches. He has just the right amount and very beautiful melody it is, too. 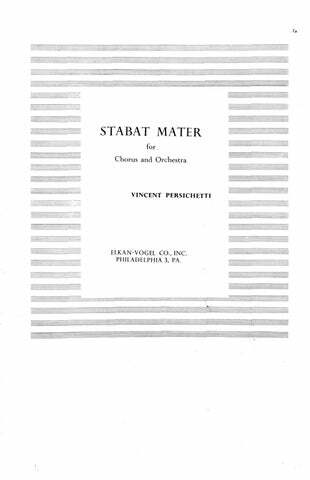 I’m pinning my hopes for new music on the amalgamation idea advanced, and practiced, by Persichetti. 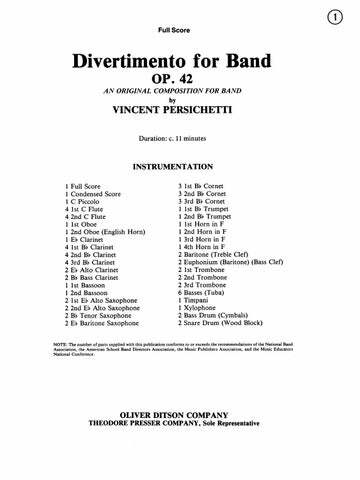 The extent of Mr. Persichetti’s knowledge, his ability to analyze and evaluate factors in musical style, and to illustrate them with clarity to an audience sprinkled with non-composers amount to virtuosity. 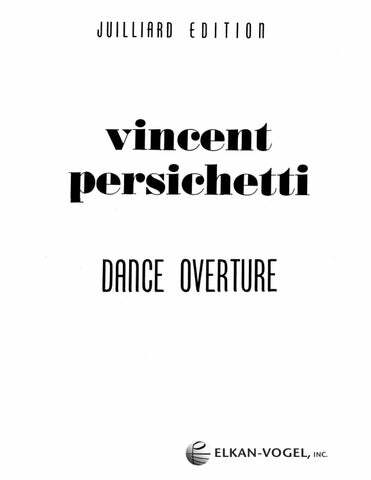 Persichetti’s music is remarkable for its contrapuntal compactness, in a synthetic style, amalgamating the seemingly incompatible idioms of different historical epochs. 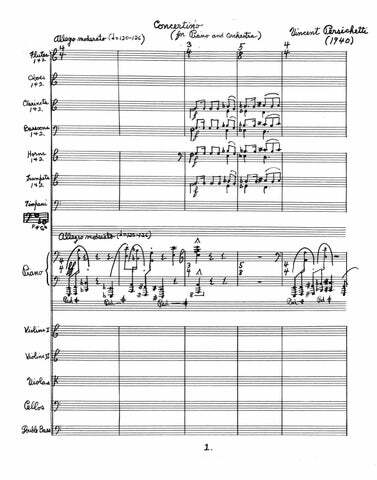 Each work in his large catalog of varied music is in perfect balance and embraces the tonal emancipative doctrine and rhythmic non-symmetrical dogma of the twentieth century. Solid in his craft, conscious of his heritage, easy in his manner, precise and serious without being pedantic. 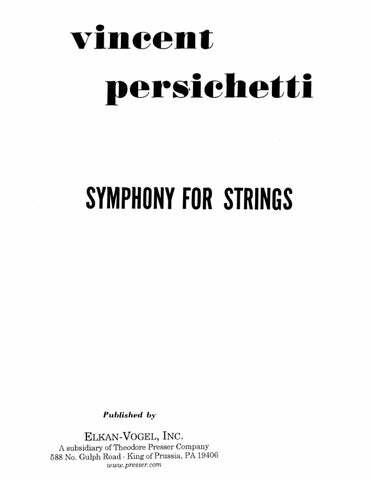 Persichetti writes to express himself and to please the angels. This excellent and underrated Philadelphia-born composer wrote with incredible buoyancy and drive. 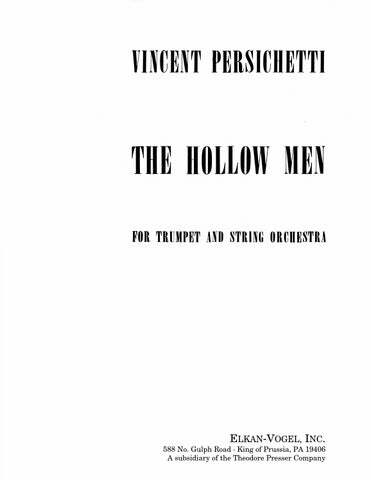 Persichetti’s technique was so sound that he could include all manner of instruments and traverse all manner of forms in his works. 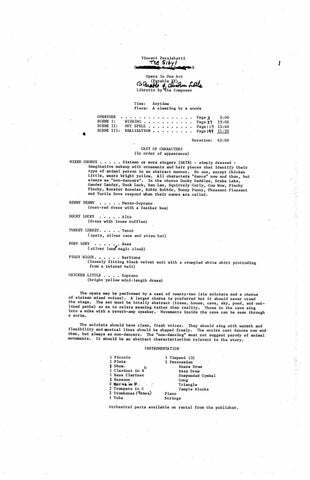 The climax of the program… lyrical and poignant… a dramatic masterpiece. The Concerto for Piano, Four Hands was for me one of the most interesting stimulating American works of the Pittsburgh International Contemporary Music Festival. The [First Harpsichord Sonata] is real harpsichord music; those pointed effects for which the instrument is most widely known are collected and husbanded with a master’s hand. In sum, we have a new work in which to show pride. 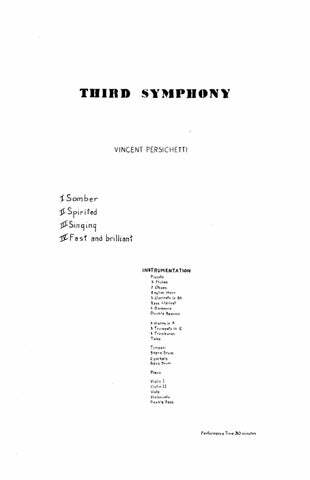 Persichetti delivers his music superbly, for he is a marvelous pianist, and the writing [Fourth Piano Sonata] is suited to the instrument better than almost anything written in America today. 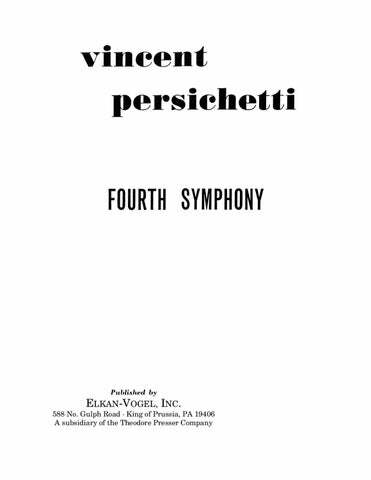 Persichetti has remained his own man through the years… the Fourth String Quartet emerges as a strong, assured, meaningful piece of considerable dignity. 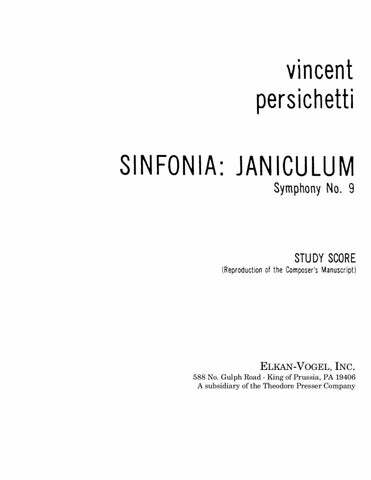 Harmonium is unquestionably a masterpiece— Persichetti at his finest in what is by far the best song-cycle of its length by an American composer. 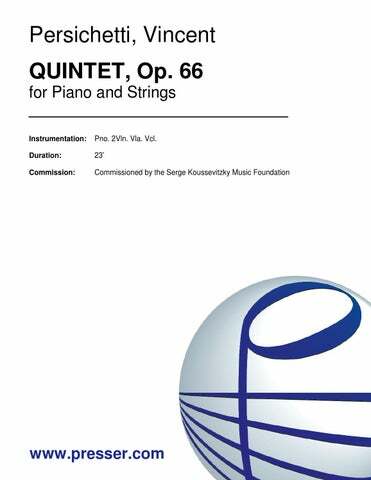 The Ninth Piano Sonata is made as lightly as the works of a small watch. The tiny motif at the opening meshed with every note in the four movements. 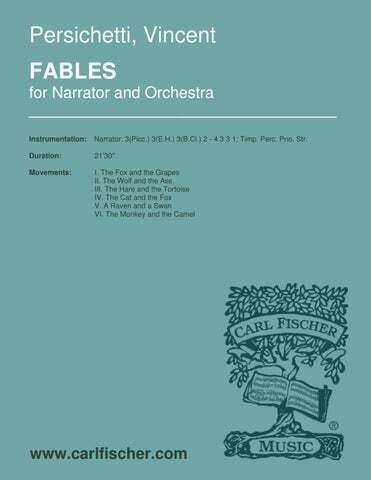 Parable for Band is certainly one of the finest works written for the medium… It is destined to become a lasting work of the band repertoire. Parable for Solo Horn is a musically stimulating, dramatically varied work of art… Its immediate impact is simple here and now reality, the second and more vital message being suggestive of a lasting inner quality. Parable for Solo Alto Saxophone is the most successful realization to date of the saxophone in the unaccompanied dimension. The work will surely find its place in the permanent repertory of our instrument. The four-movement Sonata for Two Pianos is an absolute delight. If you like contemporary music that speaks to the heart as well as to the brain, this is for you. 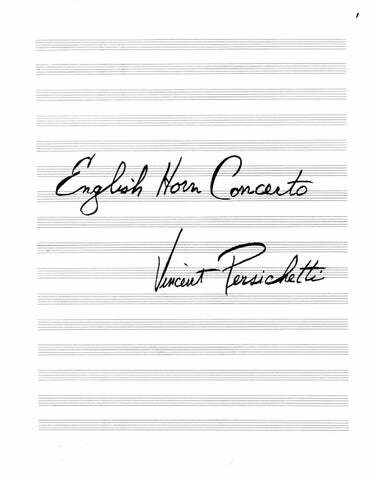 Their appearance [recordings of the Tenth and Twelfth Piano Sonatas] continues to document the gradual recognition of Persichetti’s contribution to this medium as one of the most comprehensive artistic statements in contemporary piano music.